Frosted white finished hanging glass star. This is an authentic and beautiful star that bring a whimsical rustic look to your hoeme decor.We offer you three sizes, 11 inches, 13 inches and 16 inches diameter. Wired is optional please choose below if you want it. Frosted white finished hanging glass star. This is an authentic and beautiful star that bring a whimsical rustic look to your home decor. 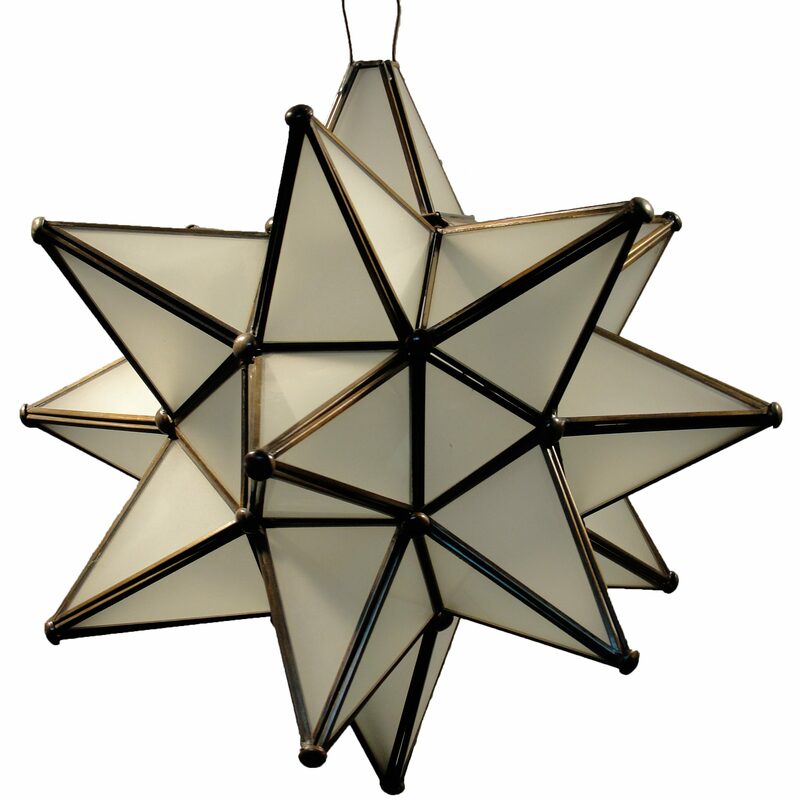 Talented Mexican artisan have adopted the Moravian traditions and are now known for their own handmade star lamps. For your convenience we offer three sizes, 11 inches diameter, 13 inches diameter, 16 inches diameter. Since each of our Mexican handcraft is unique, color and finish may vary slightly from what’s pictured here. • Wired with UL listed parts, but not a UL Listed fixture. • UL Listed heavy duty porcelain socket. • UL Listed 6 ft. cord with plug.